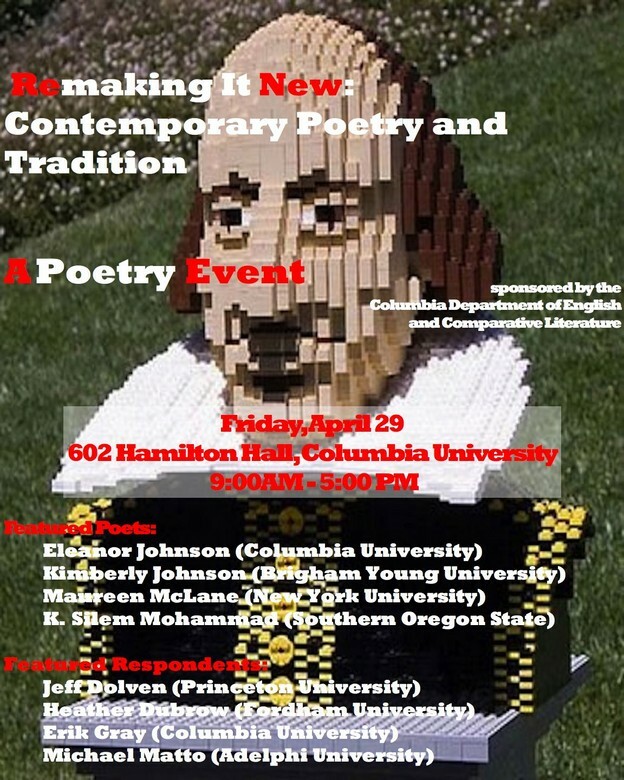 602 Hamilton Hall , Columbia University, New YorkWhat are contemporary poetry's formal and conceptual engagements with the poetry of the past? We’ve invited four poets—Kimberly Johnson, Maureen McLane, K. Silem Mohammad, and Eleanor Johnson—each of whose work reconfigures, re-imagines, or reinvents poetic forms from periods prior to the twentieth century. They will be joined by four scholars—Jeff Dolven (Princeton), Erik Gray (Columbia), Heather Dubrow (Fordham), and Michael Matto (Adelphi) in a day of readings, responses, and roundtable discussions. We are planning four sessions, two in the morning and two in the afternoon, lasting an hour and a quarter apiece. Each session will feature one poet, who will begin with a short reading, to be followed by a brief response from a scholar. The session will then finish with a roundtable discussion between the scholar and all four poets. Kimberly Johnson is the author of two collections of poetry, Leviathan with a Hook and A Metaphorical God, and of a translation of Virgil’s Georgics. Her poetry, translations, and scholarly essays have appeared widely in publications including The New Yorker, Slate, The Iowa Review, and Modern Philology. She has edited a collection of essays on Renaissance literature, and she has served as the editor for a fully-searchable online collection of John Donne’s complete sermons. Recipient of grants and fellowships from the John Simon Guggenheim Foundation, the National Endowment for the Arts, and the Utah Arts Council, Johnson holds an M.A. from the Johns Hopkins Writing Seminars, an M.F.A. 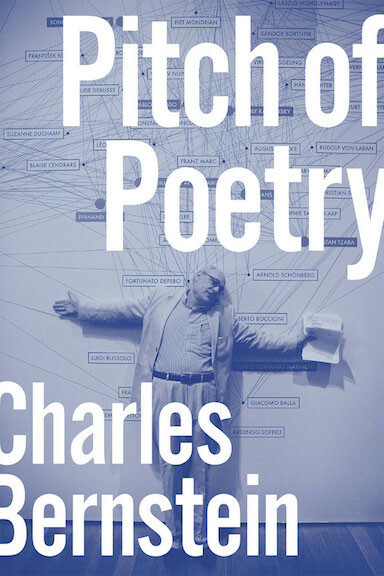 from the Iowa Writers’ Workshop, and a Ph.D. in Renaissance Literature from the University of California at Berkeley. Maureen N. McLane is the author of World Enough: poems (2010) and Same Life: poems (2011), both published by Farrar, Straus & Giroux. She is also the author of two books of literary criticism, Balladeering, Minstrelsy, and the Making of British Romantic Poetry and Romanticism and the Human Sciences (Cambridge University Press). Winner of the National Book Critics Circle's Nona Balakian Award for Excellence in Book Reviewing, she is contributing editor at Boston Review. Her book, My Poets, is forthcoming from FSG. She teaches at NYU. 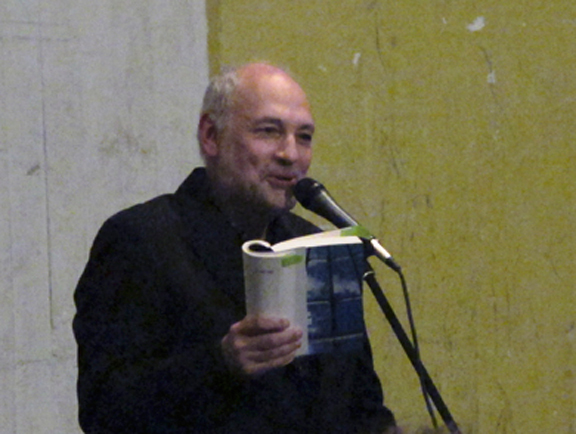 K. Silem Mohammad is the author of several books of poetry, including Deer Head Nation (Tougher Disguises, 2003), A Thousand Devils (Combo Books, 2004), Breathalyzer (Edge Books, 2008), The Front (Roof Books, 2009), and Monsters (forthcoming, Edge Books). In his current project, The Sonnagrams, Mohammad anagrammatizes Shakespeare's Sonnets into all-new English sonnets in iambic pentameter. He is also a co-editor of the forthcoming Flarf: An Anthology of Flarf, the editor of the poetry magazine Abraham Lincoln, and the faculty editor of West Wind Review. He is an associate professor in the English & Writing program at Southern Oregon University. Eleanor Johnson teaches late medieval English prose and poetry, medieval poetics and philosophy, law and literature in the Middle Ages, early autobiography, and vernacular theology at Columbia University. She is finishing a book entitled Sensible Prose and the Sense of Meter: Boethian Prosimetrics in Fourteenth-Century England, concerning the literary-theoretical underpinnings of the efflorescence of prose and verse in late fourteenth-century England. Two collections of her poetry, The Dwell (Scrambler Books) and Her Many Feathered Bones (Achiote Press) were published in 2009 and 2010.